This is my fully customized desktop. Well, I spent the whole day installing and perfecting my perfect desktop on Linux Mint 15! As you can see from the screenshot above, I have customized everything I could customize. Wallpaper: I just downloaded my wallpaper from Google Drive and set it as the desktop wallpaper. Cinnamon: Just found a theme called 'Nightlife - Flax' off the Cinnamon Themes section and installed. Desktop: The desktop features the Conky system monitor bar (on the right). The theme is 'CONKY-COLORS'. 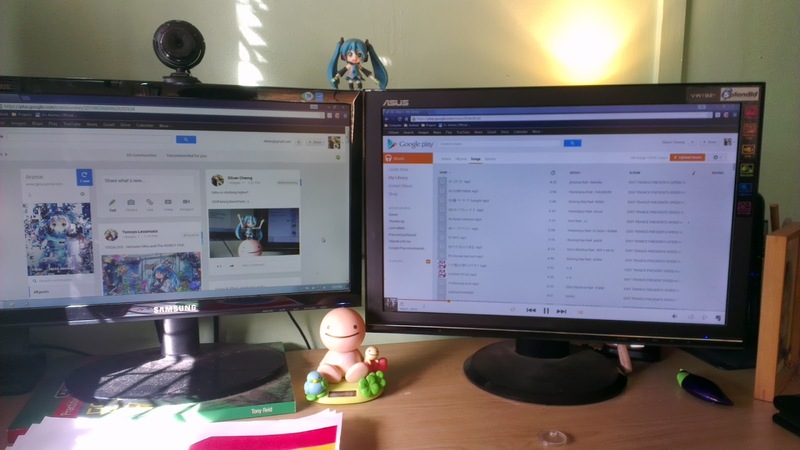 Cursor: The cursor theme is 'Pulse Glass' which can also be found on Gnome-Look. Dock: I used a software called 'Docky' using an in-built theme. You can install 'Docky' from your Software Manager. 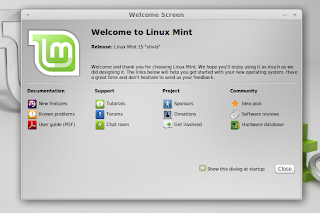 Menu Bar: The menu bar is just the standard Cinnamon bar with the menu icon changed. The icon size is 72x72 pixels wide. You cna change it by going into Menu settings in Cinnamon settings. 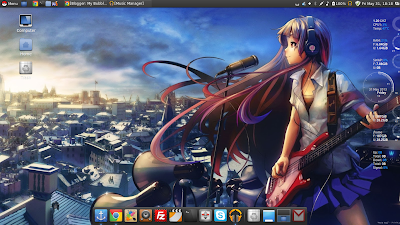 System Theme: For the controls and windows boreders, I am using the 'Adaiwata-Dark' theme. 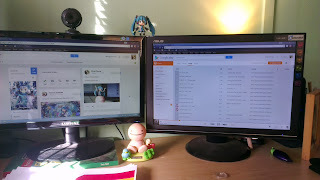 It is also on Gnome-Look. Font: I am using 'Comfortaa' as my base font for everything. It looks nice and stylish! So I think that's about it! If you want more information or help with getting the look (similar to mine) feel free to email me or leave a comment below! 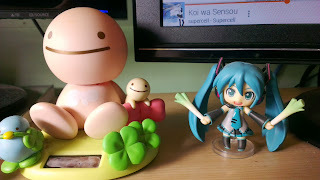 Miku encounters a huge mountain! 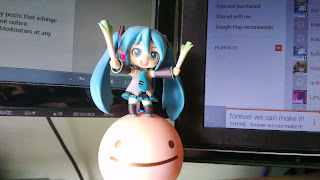 Miku decides to climb to the top of the monitor mountain. 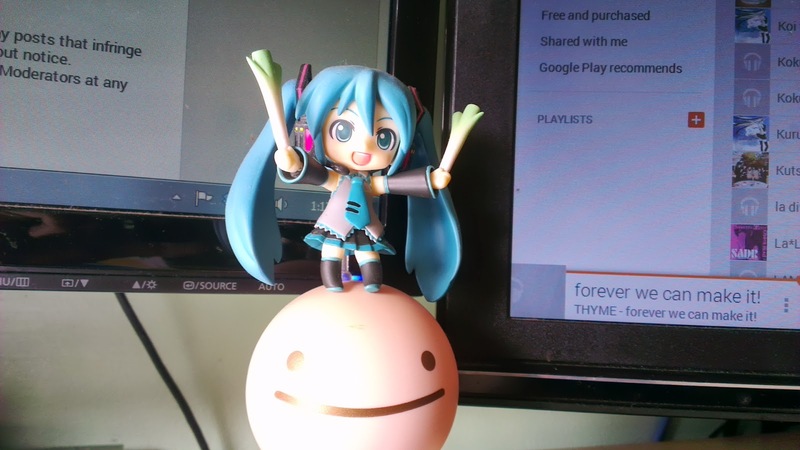 Miku has reached the top of Mt Samsung! Mission accomplished!